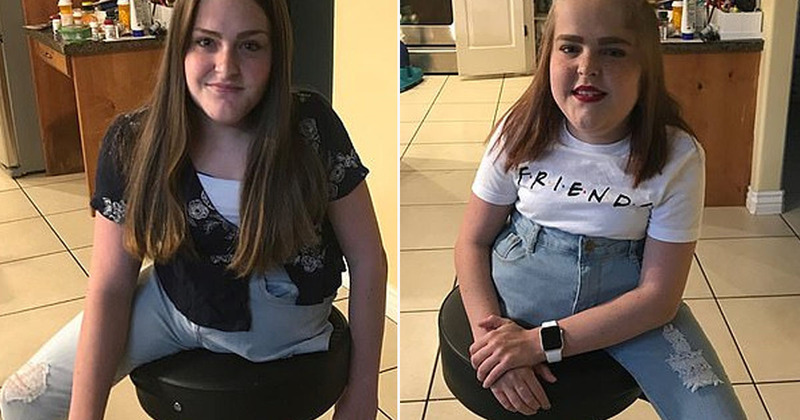 Everyone was stunned by two magicians on Britain’s Got Talent but not for a trick we saw, but for a trick we didn’t see. 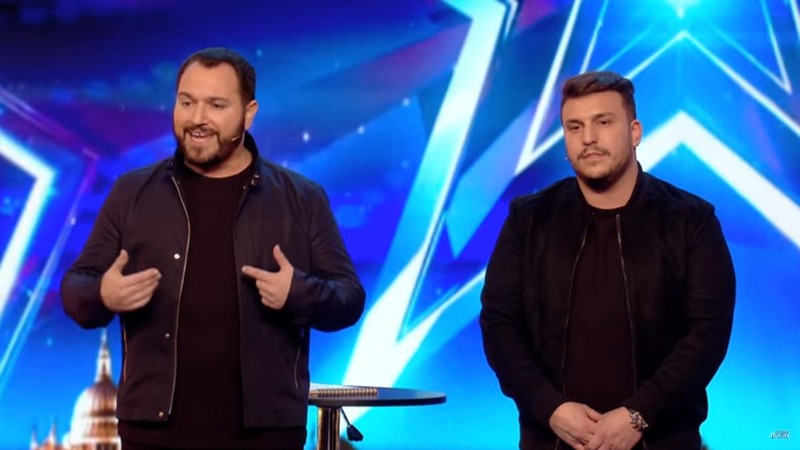 Darren, 43, and Andrew, 29, who perform under the name DNA seriously impressed the judges and viewers by reading the minds of Amanda Holden and Simon Cowell live on stage. But the really impressive trick was hidden until the very end of their act when they revealed that they had changed their t-shirts from camo to plain black during their act without anyone noticing. Some unusual psychic powers on display, however the even more impressive trick was to come. The audience and viewers were wowed by the reveal and it left viewers seriously confused as to when the actual change took place. I watched the clip several times trying to spot the switch. In the slow-mo you can see as Darren walks back onto the stage he is pulling down at his t-shirt, which is now black instead of camo. 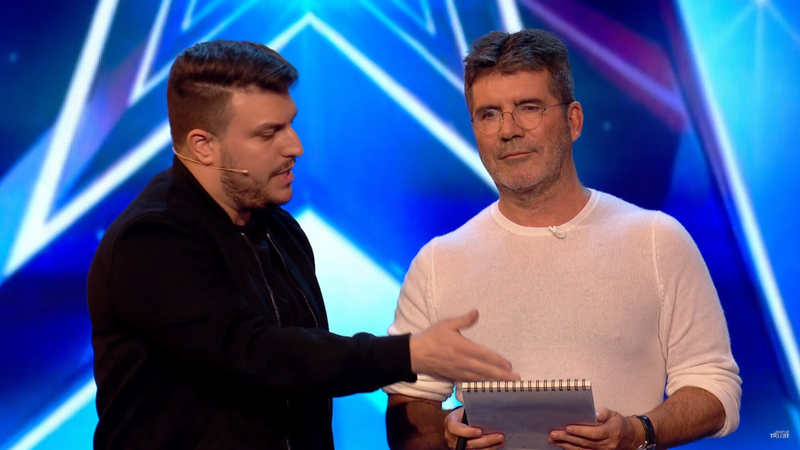 He’s walking very close to Simon Cowell, presumably to hide his t-shirt switch from the audience. Although this doesn’t explain how he changed his t-shirt while wearing a jacket or how Andrew performed the same feat while on stage facing the audience. That said, Andrew does place a pad and pen on a table behind him, which would give him time where his back was to the audience so he could make his quick costume change. As for the mind-reading Darren is able to see what the celebrities are writing at all times so the pair could be communicating using Morse code. Other magicians have used similar systems controlled by squeezing your toe in your shoe. Which, while not magic, is still very impressive. It’ll be interesting to see how they top this awesome trick in the next rounds of the competition as they passed their audition unanimously. 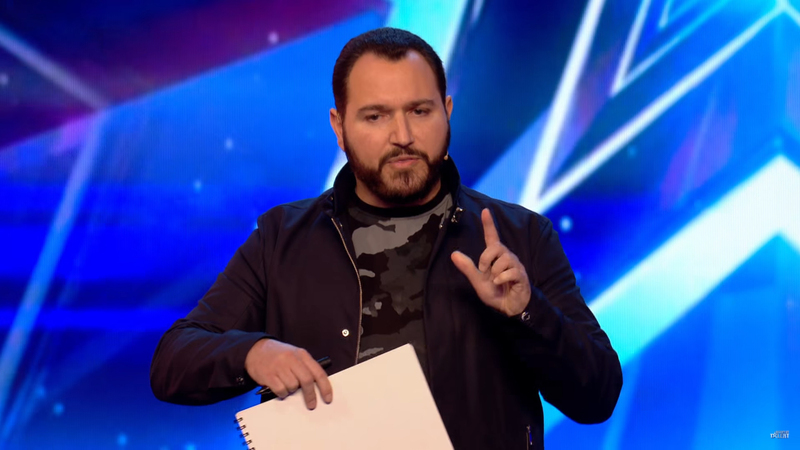 Britain's Got Talent viewers STUNNED by mind reading magicians - who change clothes without anyone noticing!